JOEY BARTON’S next cultural trip will be to the museum according to Ladbrokes. Following his visit to the National Gallery on his weekend off the QPR midfielder is even money to visit any London Museum next. It’s 6/4 he goes to another gallery and 2/1 he’s next spotted at the National Library. 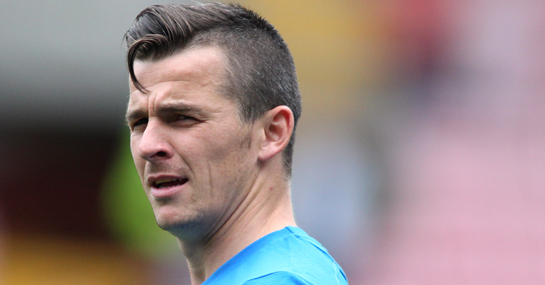 It’s 16/1 Barton appears on Question Time and a longer 33/1 he’s a guest on Newsnight. Odds of 66/1 suggest he’s less likely to give the thought for the day on Radio 4 however the bookies can’t rule out him taking an Open University degree in Philosophy at 20/1. Further proof of Barton’s reformed character is that the bookies now make him odds-on (5/6) to not receive a single red card in the league this season. He remains a 5/1 chance to ever play for England again. Where will Joey Barton be spotted next?